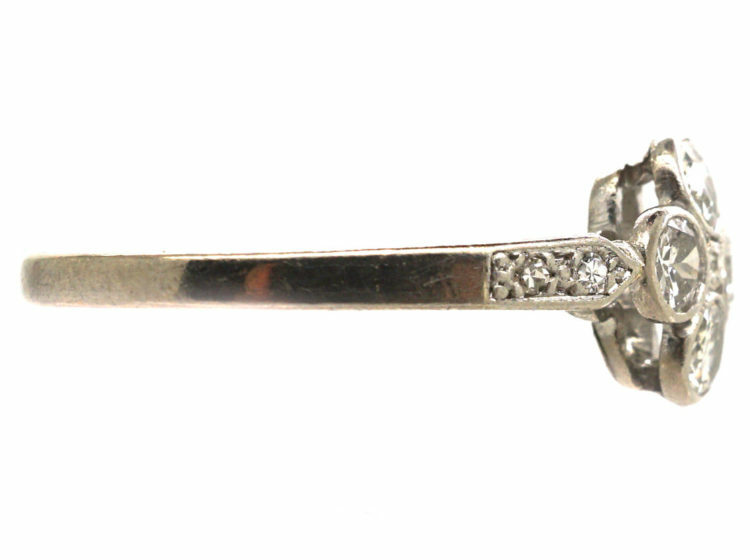 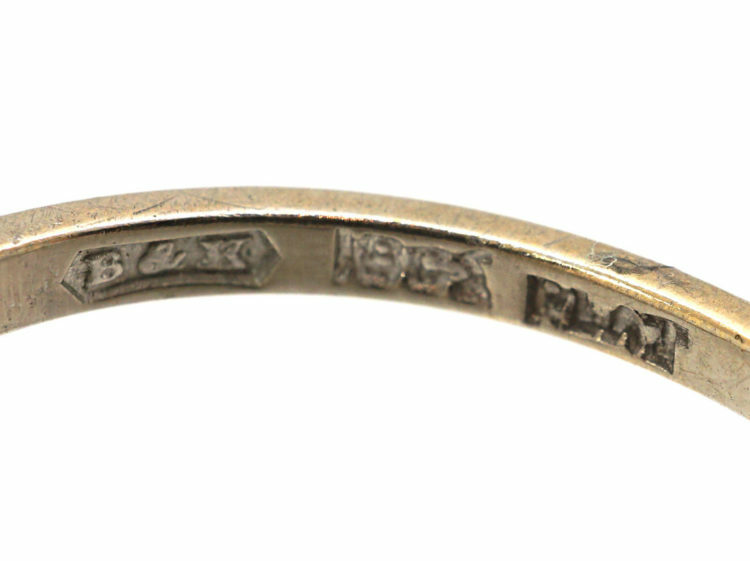 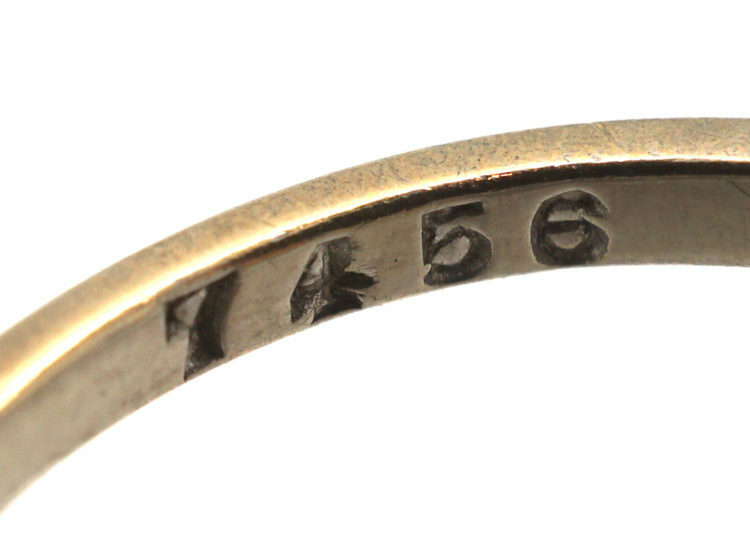 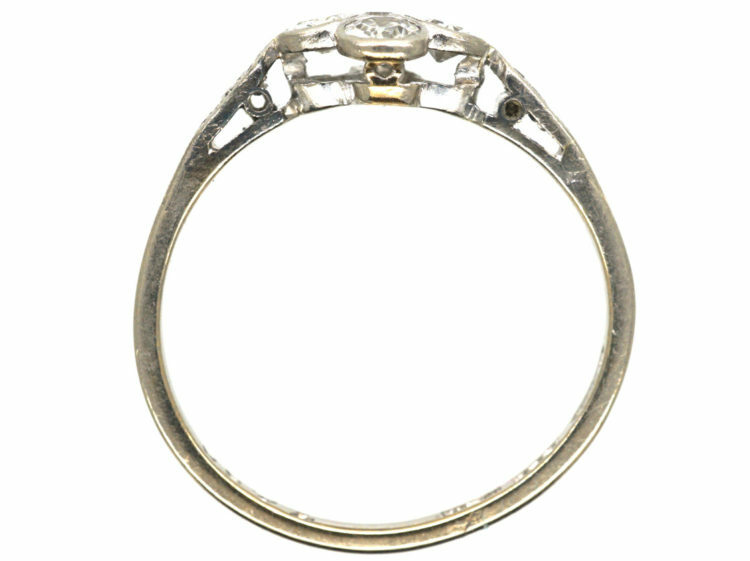 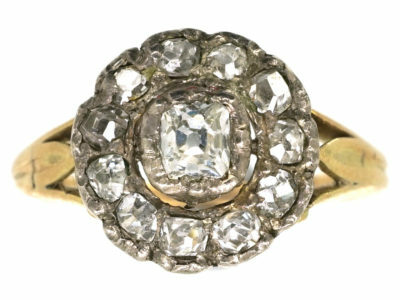 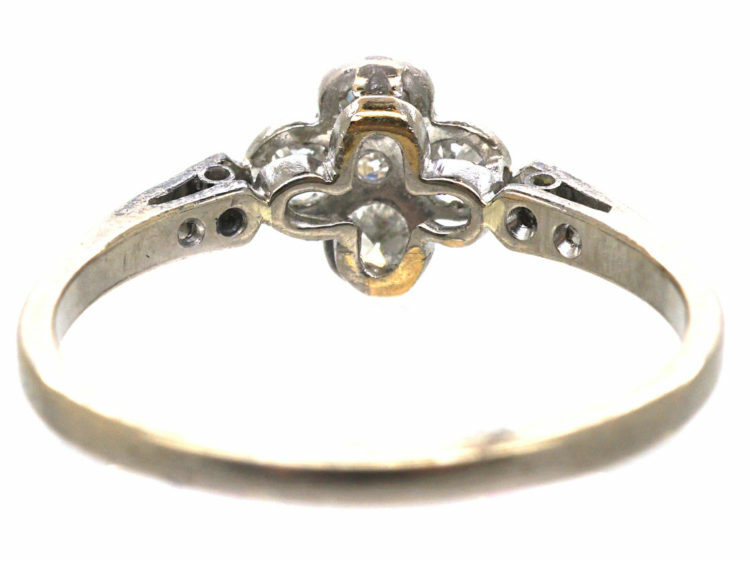 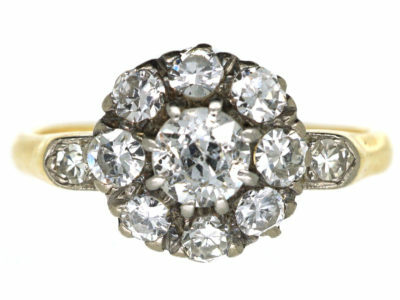 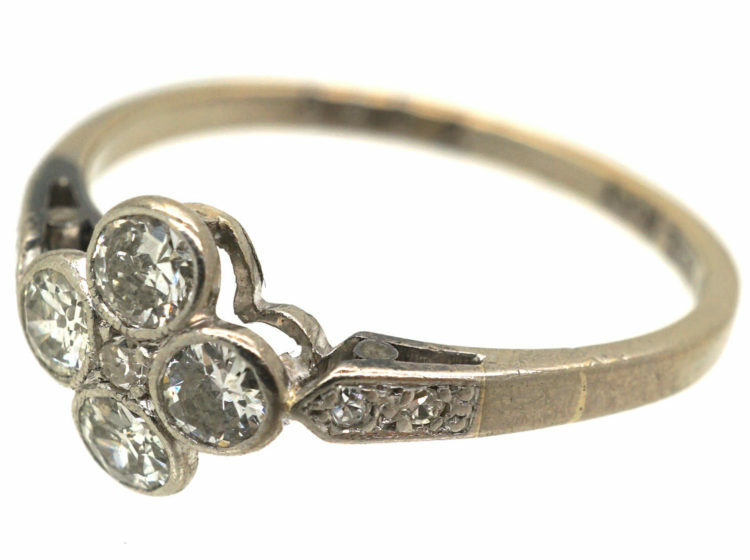 A lovely 18ct white gold ring with a platinum top that was made circa 1910-1920. 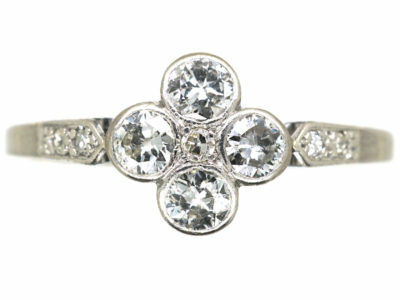 It has been set with four well matched white diamonds with a smaller one in the centre and diamond set shoulders. 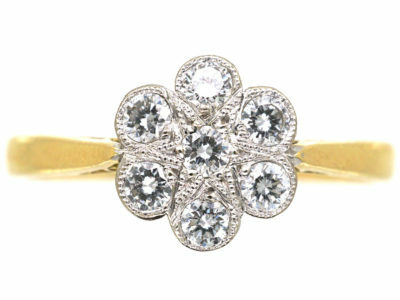 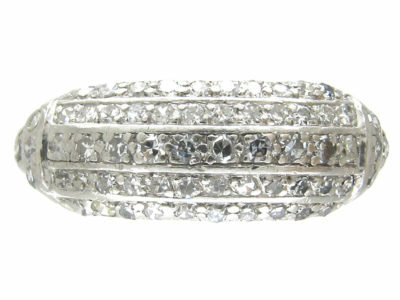 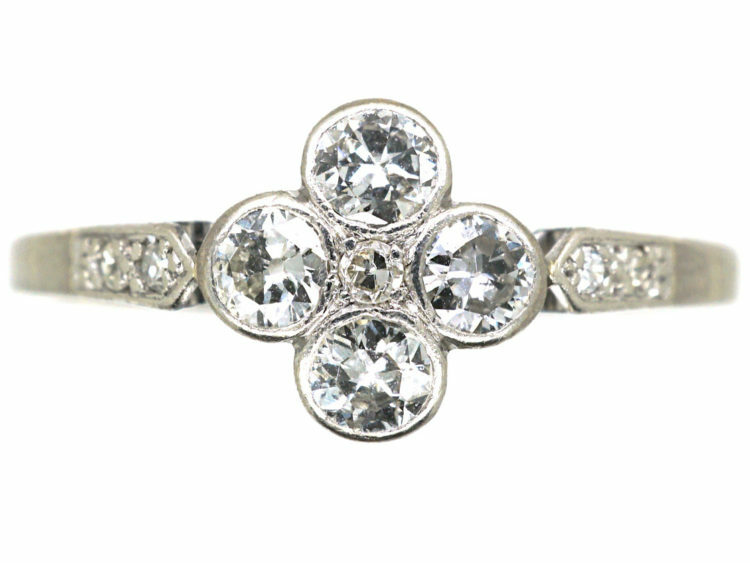 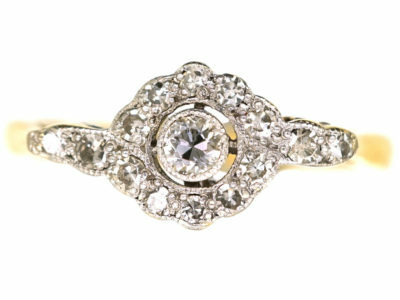 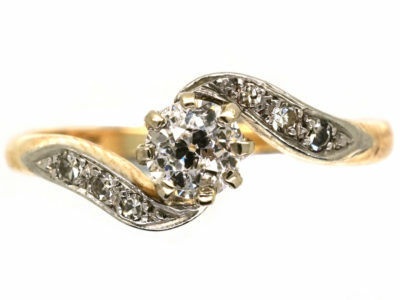 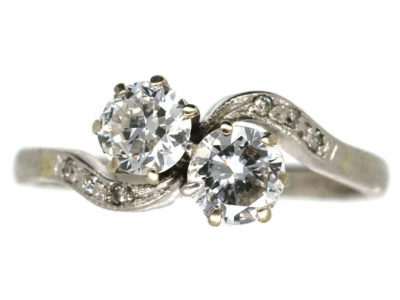 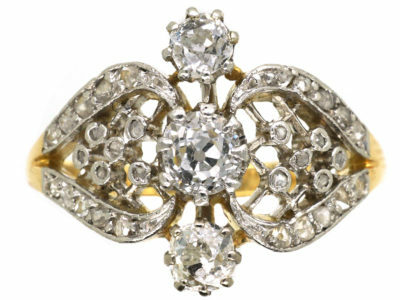 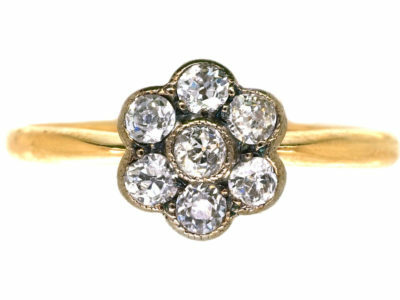 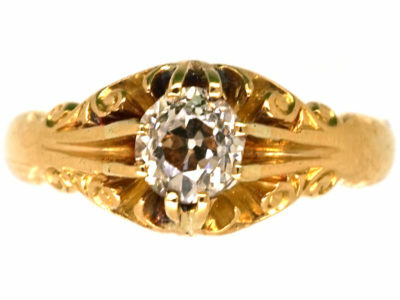 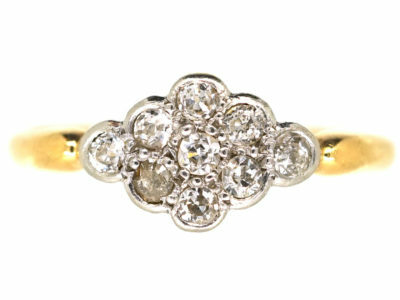 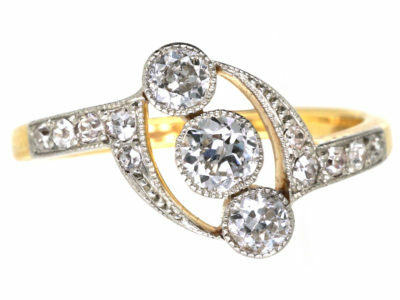 This style of ring is ideal worn as an engagement ring. 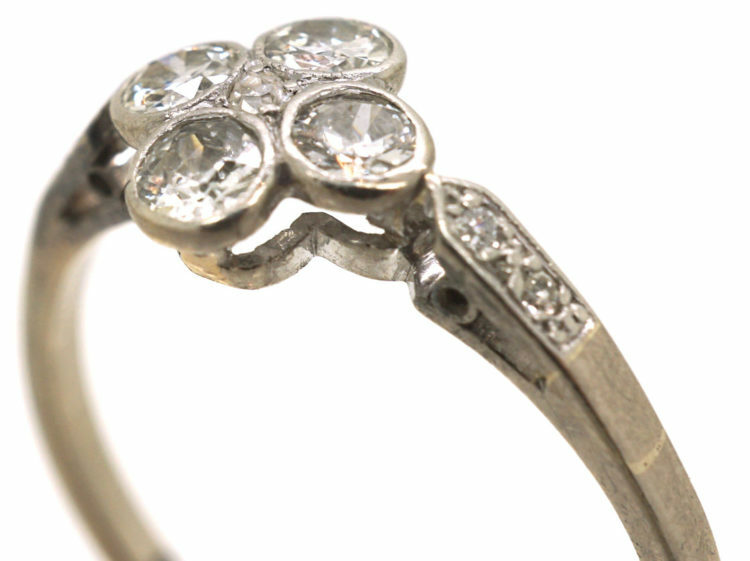 It sits low on the finger and does not catch on anything as the stones are in rub over settings.